I want to apologize for the lack of updates here and on YSA!. I have been so busy lately and have been working on getting my schedule in order. With me trying to focus on my ministry, school starting, and doing graphic work...among so many other things, I have been slacking on bringing you the indie finds you all love! I have put together a schedule I believe will allow me to be better organized...Long overdue. (Yes, I know.) 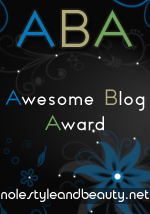 With that said...I am going to be updating the blog this weekend. I have found some great indie designers and they have some goodies you're going to want to check out! 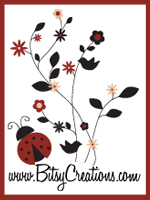 Cindy, who loves milkshakes, old photographs, and quaint harbor towns, is the creative soul behind Sweet Bead Studio. Her designs are both fun and beautiful. 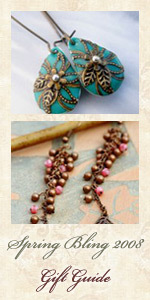 Offering bracelets, necklaces, and earrings, Sweet Bead Studio, is just the right place to shop for some wearable art. Simply Sterling Designs is a fresh new Etsy shop offering some fabulous jewelry...Perfect for the girl who wants attention! While there are not many pieces listed at the moment, the current selection leaves you wanting to see more of what the creator wants to design next. Debuting on the Etsy scene in June, Simply Sterling Designs, will more than likely become a favorite of Etsy shoppers real soon! View these and other items by clicking here. I was without High-Speed internet access for about a week and REFUSED to do any updates using dial-up. SIMPLY REFUSED!!! I could access the internet, but I was not about to punish myself by trying to look for great Indie stuff using an awfully sad internet connection. So, anyway, Comcast has taken care of me and now I can take care of you...by giving you what you want - Indie Goodness! !